The expulsion of fallen ‘princeling’ Bo Xilai from the ruling ‘communist’ party (CCP), decided at the Politburo’s September 28 meeting, marks a new phase in China’s high-level power struggle, the most serious for at least 20 years. Divisions over how harshly to deal with Bo are responsible for delaying the CCP’s five-yearly party congress, which has now been announced to start on November 8, a month later than originally expected. This delay underlines the seriousness of internal divisions over positions in the new leadership line-up to be unveiled at the congress. The dates of the last three congresses (in 1997, 2002 and 2007) were all announced in late August, a month earlier than in this case. A traditional pre-congress conclave of CCP leaders held in August at the beach resort of Beidaihe was thought to have reached a deal over the hotly contested leadership line-up. The delay however suggests that any such deal broke down amid renewed factional wrangling. Bo Xilai’s fate has been used as a bargaining chip between his supporters and opponents inside the party leadership. Bo’s opponents – who include the current leadership of president Hu Jintao and premier Wen Jiabao – seem to have gained the upper hand in this matter, but the question is at what price? What concessions have Hu’s ‘tuanpai’ or ‘communist youth league’ faction been forced to make over the carve-up of seats on the party’s all-powerful Politburo Standing Committee (PSC)? 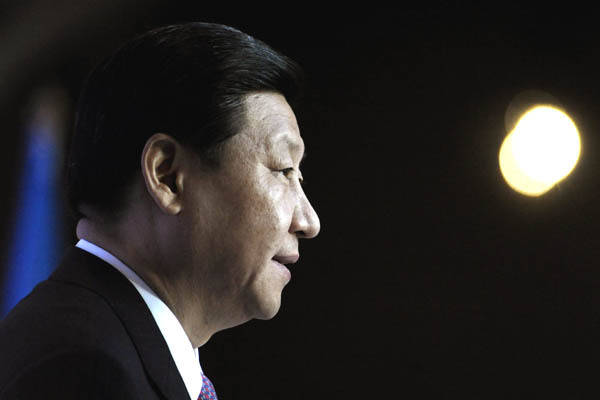 “Apparently, factional rifts and power conflicts have escalated to unprecedented levels this year over how to handle Bo,” said Chen Ziming, a Beijing-based commentator, who speculated that this issue had “forced the top leadership to change the previous consensus” (reached at Beidaihe in August). The current splits within the one-party state reflect explosive tensions in society, with the most extreme wealth gap in Asia, an epidemic of corruption, and hundreds of ‘mass incidents’ daily. The main fault line of the current struggle is between the ‘princelings’ – super-wealthy second and third generation CCP luminaries like Bo – and their factional opponents mainly represented by the ‘tuanpai’ faction, who want to limit the princelings’ power and break-up their ‘vested interests’, including powerful state-owned industrial groups, which are seen as blocking faster liberalisation of the economy. Some commentators compare the ferocity of the current internal struggle to the failed coup attempt by Lin Biao against Mao Zedong in 1971, and the mysterious plane crash that killed Lin while attempting to escape to the Soviet Union. Bo’s expulsion is a first step towards a closely scripted show trial with the aim of ‘killing off’ Bo politically – if not literally. He now faces the prospect of a lengthy prison term, and possibly even the death penalty. While this could unleash an outcry across China from Bo’s many supporters, some of his ‘liberal’ opponents would favour such a drastic sentence – to rule out any possibility of a political comeback. It is unlikely that Bo’s trial will be open to the public, to preclude any act of public defiance or attempt to incriminate his enemies. In this sense, the proceedings are likely to be less democratic than when the Maoist ‘Gang of Four’ were tried in 1981 and Jiang Qing (Madame Mao) delivered a two-hour televised tongue-lashing of her accusers. 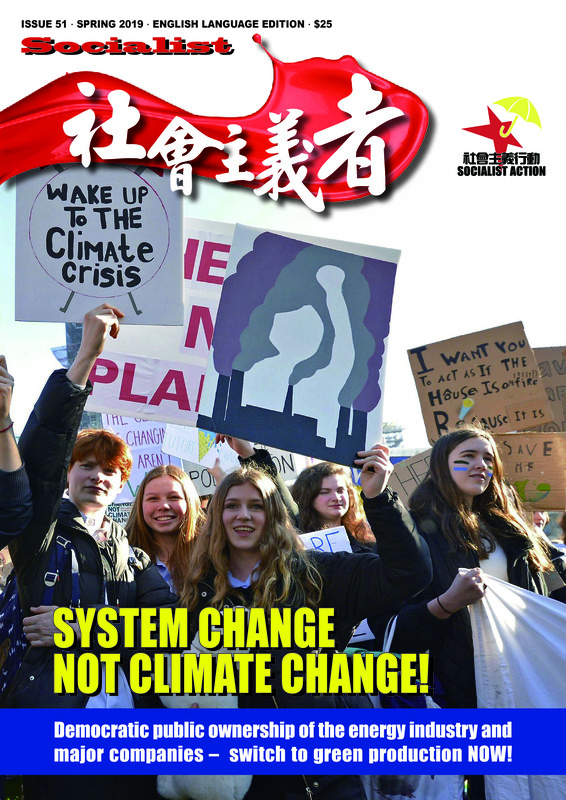 Prior to his dismissal as party chief for Chongqing, Bo was the major figurehead for China’s resurgent ‘new left’ – a loose umbrella group that spans Maoist inspired youth to nationalists and CCP old-timers – who are critical of Beijing’s neo-liberal and pro-globalisation policies. Despite being a multi-millionaire himself, Bo achieved national recognition with his flamboyant campaigns aimed at self-promotion such as his neo-Maoist ‘red culture’ campaign that tapped into the growing popular backlash against the effects of capitalist restoration. A ruthless crackdown on Chongqing’s notorious triads (criminal gangs), masterminded by Bo’s recently jailed former sidekick and police chief Wang Lijun, drew criticisms from human rights advocates and targeted many others, not just the triads. Such high profile campaigning and the popularity it conferred upon Bo did not endear him to the current leadership of Hu and Wen. Bo was seen as a threat to Beijing’s attempts to rein in wayward provinces, as well as a symbol of ‘princeling’ arrogance, corruption and high-handedness, which unless checked pose a threat to CCP rule. In the days since his expulsion, state-controlled media have denigrated Bo in unusually harsh terms for a fallen official, presenting a litany of crimes including abuse of power, bribery and even “improper sexual relationships”. Significantly, these alleged offences go back over almost two decades to Bo’s time as vice-mayor of Dalian. 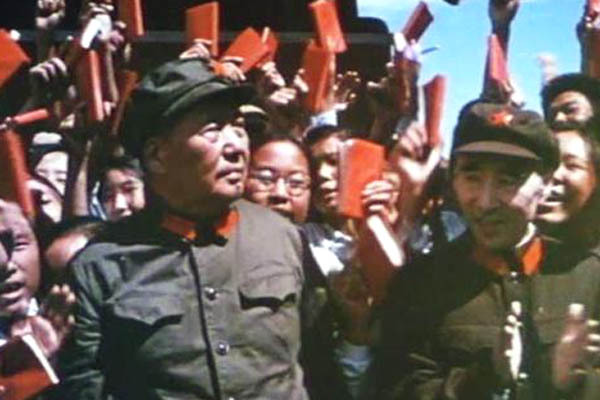 He has been pilloried as a “dictator” who ruled Chongqing with an “iron hand” and an “extremely filthy man” to quote from the Guangming Daily, a newspaper under the control of the Central Committee. This overtly liberal mouthpiece could not hold back in attacking Bo’s allegedly leftist stand, which it described as a “stale political model that brought China unparalleled disaster”. 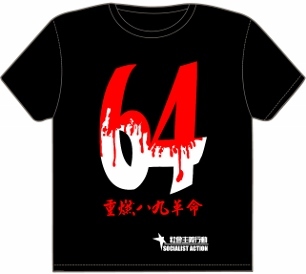 These attacks on Bo represent a high-risk strategy by the CCP leadership. “They are going after him with both barrels,” commented Patrick Chovanec, an economist based at Tsinghua University in Beijing. Clearly, the aim is to destroy not just Bo but also to strike a blow against the increasingly vocal neo-Maoist left who adopted him as their standard-bearer. But the anti-Bo propaganda campaign is also likely to fan greater scepticism towards the regime as a whole. People will inevitably ask why, if Bo “violated party discipline” over a 20-year period, it took the regime until now to stop him? We are told Bo was a “dictator” (a view we would not disagree with), but in what respect were his actions more or less dictatorial than other CCP officials? The regime is moving into unchartered territory with these attacks, which can trigger protests both from Bo’s supporters but also from opponents who doubt the regime’s sincerity or ability to deal with corruption and power “abuses”. The deadlock until now over Bo’s fate, and the delay of the party congress, underline the seriousness of this move and the risks it can incur. In addition to enjoying the protection of fellow ‘princelings’, Bo built up considerable support outside the CCP and also in the armed forces, to a degree that arguably no other leading CCP figure can match. “Bo’s case is unprecedented [as] he apparently has much greater clout that Chen Liangyu [former party boss of Shanghai, jailed for corruption] and Chen Xitong [former party boss of Beijing, also jailed for corruption],” noted Yuan Weishi, referring to the two most senior cases of official corruption over the past two decades. This represents a complete turnaround since the trial in August of Gu Kalai, Bo’s wife, who received a suspended death sentence after confessing to the murder of British businessman Neil Heywood. Gu’s one-day stage-managed trial omitted any mention of Bo. Now, we read in Xinhua that Bo bore “major responsibility” for the murder of Heywood – something that escaped the notice of the court in Gu’s case! Similarly, Gu’s trial played down the issue of corruption, despite it being widely known that Heywood was a money-launderer for the Bo family, and was killed over a dispute with Gu after a multi-million dollar business deal went sour. By not naming Bo, Gu’s trial implied he would be spared criminal proceedings, to be dealt with more leniently through the CCP’s own disciplinary channels (shuanggui). This was seen as part of a wider deal among the party tops in the run-up to the party congress. But clearly things have changed. The shift began with the trial of Wang Lijun in mid-September, which sent the former Chongqing police chief to jail for 15 years (a lenient sentence considering one of the four indictments was for attempted defection to the US). The official accounts of Wang’s mostly secret trial implicated Bo in the attempted cover-up of Heywood’s murder. Bo was not named, however, with the report referring instead to “the Chongqing party committee’s main responsible person at the time”. We are now told that Bo, “received huge bribes personally and through his family,” [Xinhua, September 28] and yet at her trial just two months earlier, no such charge was levelled against Gu Kalai or Bo’s son, Bo Guagua (who is said to be in hiding in the US). 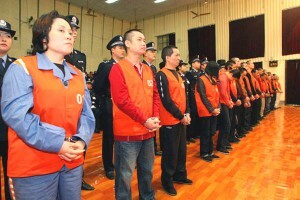 The omittance of such charges, despite a clear connection to the murder of Heywood, shows the extent to which Gu’s trial was manipulated by the CCP’s leading group for its own interests, which have since changed. The impending trial of Bo Xilai is unlikely to show greater ‘impartiality’ or respect for the ‘rule of law’. Even the official account of how Heywood was murdered has been cast into doubt, in a blog post (September 26) by Wang Xuemei, one of China’s foremost forensic experts. She has challenged Gu’s scripted confession that she poisoned Heywood with cyanide, because this produces unmistakeable symptoms such as discolouration of the corpse, which would inevitably have been noticed by police forensic experts at the scene. Wang’s post, which was quickly deleted by censors, raised the theory that Heywood may have been suffocated. Why would the prosecution need to ‘modify’ the method by which Heywood’s life was taken? Possibly to give support to the scenario whereby Gu acted by herself, allegedly in a state of mental instability, rather than simply (and more logically) ordering ‘professionals’ from the security forces under Bo’s control to deal with Heywood. Similar factual ‘modification’ can be expected at Bo’s trial. Already, in the media’s campaign against him, the allegations of corruption have been conveniently downsized with the figure of 20 million yuan in bribes being cited, which is a conspicuously low figure, especially if this is meant to represent his entire career ‘takings’ over two decades. An honest accounting of the Bo family’s plunder would however pose serious problems for the CCP regime. The decision to downplay the sums of money involved and also to introduce the issue of “improper sexual relations with multiple women” (not a crime in China), represent diversionary manoeuvres on the part of the state and its propaganda machinery. Despite this, many people will rightly conclude that rather than a ‘bad egg’; Bo Xilai was no better or worse when it came to lining his own pocket than other senior officials. Most commentators believe the level of corruption in the case of Bo and his family, while possibly running to billions of yuan, is in no way exceptional in China today. “They [CCP officials] don’t have a belief in anything but money,” commented Liu Junsheng of the China University of Political Science and Law, an expert on the newer generation of CCP leaders. Reports in overseas media, based on information from CCP insiders, allege that as party boss of Chongqing from 2007 to this year, Bo collected 1 billion yuan in bribes just for dispensing promotions. Should such – more realistic – sums surface at his trial and in official accounts, this would inevitably fuel demands for a wider investigation. Most of the underlings who paid Bo for promotion are still sitting on their expensive official seats – very few have been purged in Chongqing following the demise of their benefactor. As always in China, top-level corruption cases are driven by the struggle between party factions for positions, influence and control. The CCP’s internal factions are not based on any cohesive political agenda or ideology, but rather on clannish loyalties and power politics. Despite this often confusing lack of clear political distinctions, the current struggle does reflect a sharp divergence between those, especially in Wen’s ‘reform wing’, but also said to include president-in-waiting Xi Jinping, who want to speed up deregulation and privatisation of the economy and reduce the dominant role of state-owned companies, and those like Bo who favour more state intervention and the defence of national as against foreign capital. 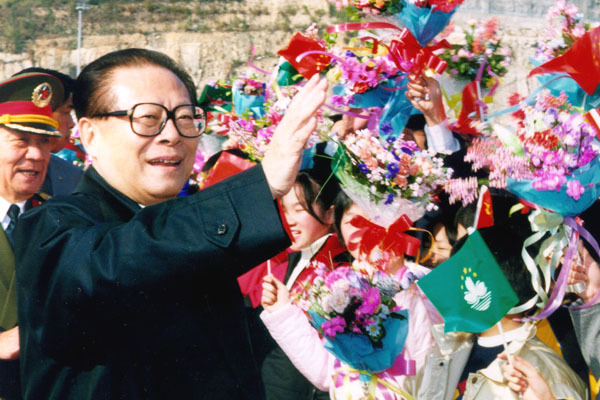 Bo’s principal backing inside the party hierarchy came from the faction led by the 86-year old ex-president, Jiang Zemin, which is known as the ‘Shanghai gang’ or ‘princeling faction’. This group previously hoped to shield Bo from a public crucifixion, not primarily out of political solidarity (most princelings oppose Bo’s Maoist-tinted populism) but from a sense of collective self-preservation. A public airing of Bo’s misdeeds threatens the standing of the ‘princelings’ as a privileged social stratum, but could also pose a wider systemic threat to the one-party state itself. It seems the Jiang faction have sacrificed Bo for a bigger presence on the new Politburo Standing Committee. It has even been rumoured that Jiang, officially long retired, attended the September 28 Politburo meeting that expelled Bo Xilai. This also suggests the ‘tuanpai’ faction of outgoing president Hu has, in return for Bo’s scalp, made new concessions over the allocation of PSC seats. Rather than the victory for Hu, Wen, and the ‘reformist camp’, that some observers are proclaiming, this is more likely a trade-off involving concessions to Jiang, who has shown he still wields considerable influence. If as expected, the number of seats on the ruling PSC is cut from nine to seven in order to concentrate more power in the hands of Xi Jinping, this will also have sharpened the power struggle – rather like a brutal version of ‘musical chairs’. It is also possible that Hu’s faction, supported by Xi, have changed their position only recently in favour of a ‘lasting solution’ to the Bo problem, even if this means surrendering a larger role in the new leadership to Jiang’s ‘princeling faction’. 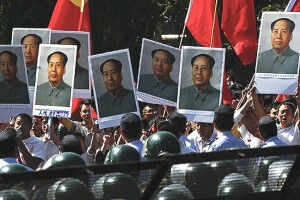 What may have tipped the balance in this case are the recent anti-Japan protests in more than 100 cities across China. These protests were the largest for many years, demanding the return of the disputed Diaoyu islands from Japan in the face of high profile posturing by right-wing Japanese nationalists. They also gave further evidence of the splits within the CCP. While the central government sought to maintain tight control and use these demonstrations to strengthen its hand in dealings with the Japanese and US governments, the protests in fact produced some nasty surprises for Beijing. The appearance on many of the protests of Mao placards and slogans in support of Bo Xilai in particular, left the central government feeling the protests had been ‘hi-jacked’ by Bo’s supporters and factional allies within the security forces and local governments. This “alarmed many people in the party”, according to Zhang Ming, a political scientist at Renmin University in Beijing. In turning their guns on Bo, the CCP leadership not only want to block any future political comeback, but also to deal a blow to his supporters in the ‘new left’ and prevent them from posing a challenge to the regime and its increasingly neo-liberal agenda in future. Internationally, we have heard reassuring sounds from capitalist commentators that the decision to put Bo Xilai on trial means Beijing is “back on track” with its congress and leadership makeover. There has of late been extreme nervousness on global stock markets about governmental paralysis and ‘gridlock’ in China, not unlike that in the US and European Union. This has the capitalists in a panic as they see China’s economy sink towards a possible hard landing, and crave a return to more ‘hands-on’ measures from Beijing including a bigger economic stimulus. But whatever fate awaits Bo Xilai, this does not mean the end of the power struggle within the regime, which itself is only a reflection of fundamental social contradictions in Chinese society, brought about by rampant capitalist development melded to one-party dictatorship. The struggle is set to continue and can acquire new explosive momentum from the very course of action the regime has embarked upon. “Airing all this dirty laundry is really risky for the party. They are playing with fire,” warned Chovanec. What is needed is a mass working class political force, completely independent of all CCP factions – right and so-called ‘left’ – to fight for democratic rights and socialism.